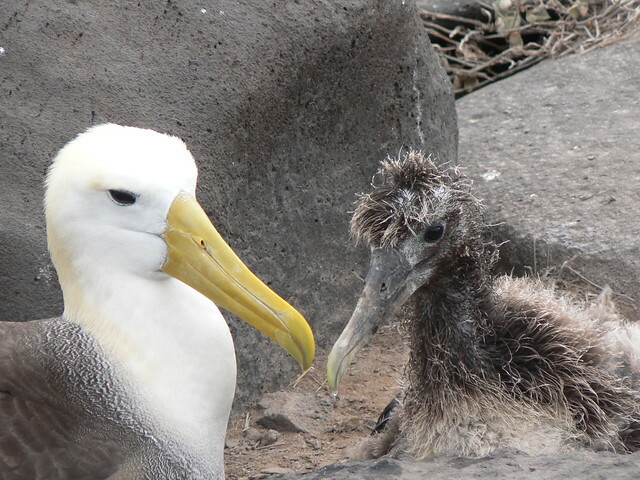 Albatrosses: big, majestic, not particularly good at preventing their chicks from being eaten by mice. Photo by James Preston. New at Nothing in Biology Makes Sense! The role of evolution in species invasions. Carnival time. A new edition of the botanical Berry-Go-Round is online. Doing more with less? Human brains have been shrinking for tens of thousands of years. Eek! A vital seabird breeding colony is being decimatd by mice. Interesting. Antidepressants are more effective in combination with stress hormones. Antibiotic resistant bacteria. On the rise in China. It doesn’t look especially tasty. How to make the scientifically perfect sandwich. The King Canute Memorial Act. The state government of North Carolina is trying to legislate climate change out of reistance. A new way to encode. Ed Yong tries out a new DNA-based font. No, not publications. Get ready for Evolution 2012 with a handy list of Ottawa pubs. This entry was posted in linkfest, science and tagged blogging, Evolution2012 by jby. Bookmark the permalink.